DEAL: Full web developer course for $17 - 91% off! 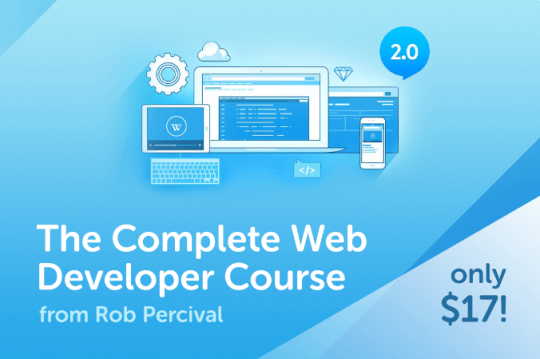 This week’s deal is an entire course on web development from Rob Percival. Typically sold for $200, for a limited time you can get full access to the entire course for only $17 - 91% off! The full course is valued at $200, but for a limited time, you can save 183, or 91%, off the full price and get access to these life changing skills for only $17.